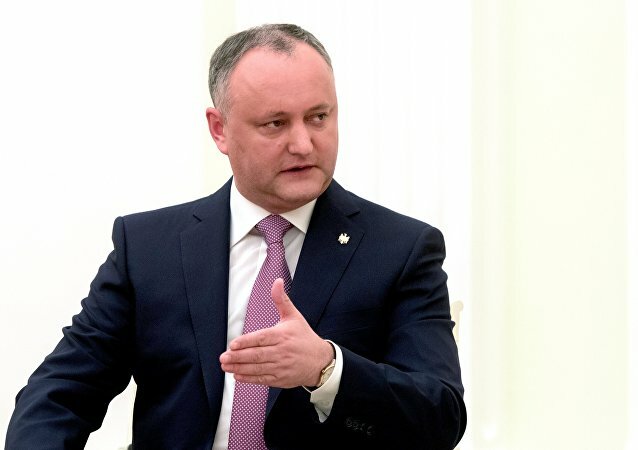 CHISINAU (Sputnik) - Moldovan President Igor Dodon believes that early parliamentary elections in the country may take place in October-November 2019 if a coalition is not formed by June. CHISINAU (Sputnik) - Moldova's Party of Socialists has won the country's parliamentary elections securing 31.35 percent of the votes on party lists, the head of the Central Election Commission (CEC), Alina Russu, has stated. 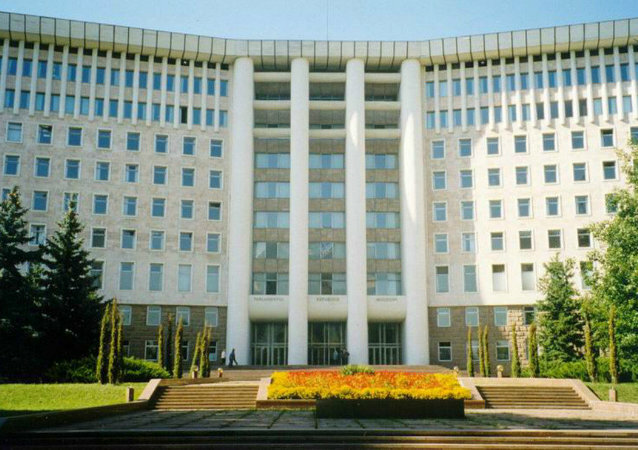 CHISINAU (Sputnik) - The Party of Socialists is leading in the Moldovan parliamentary elections with 31.73 percent of the vote, while the opposition ACUM bloc has moved up to the second place with 25.06 percent overtaking the ruling Democratic Party, the Central Electoral Commission said on Monday after 90 percent of ballots were counted. CHISINAU (Sputnik) - Moldovan President Igor Dodon told Sputnik on Wednesday he would not recall the Eastern European nation’s ambassador to Russia after a demand from his Foreign Ministry. WASHINGTON (Sputnik) - The UK Integrity Initiative project, engaged in information campaigns targeting Russia, is creating a branch network in the former republics of the Soviet Union and in European countries, and has also suggested to the UK government to create branches in the US, according to documents from the hacktivist group Anonymous. 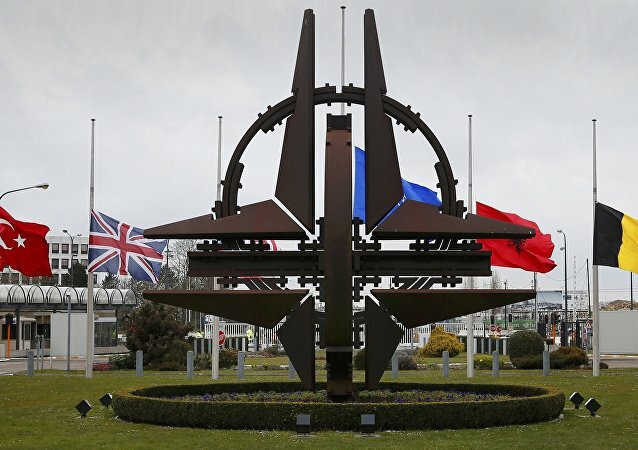 CHISINAU (Sputnik) - Only 23 percent of Moldovan citizens would support the idea of their country joining NATO if Moldova held a referendum on the issue, a poll carried out by the US International Republican Institute (IRI) revealed on Friday. The Turkish president went on a two-day official visit to Moldova in a bid to boost ties between the two countries. At the end of the visit, the two presidents met to hold a final press conference, but it seemed that the trip had taken a toll on Erdogan. CHISINAU (Sputnik) - A blast ripped overnight through a high-rise in the Moldovan capital of Chisinau, killing at least three people, an Interior Ministry said. 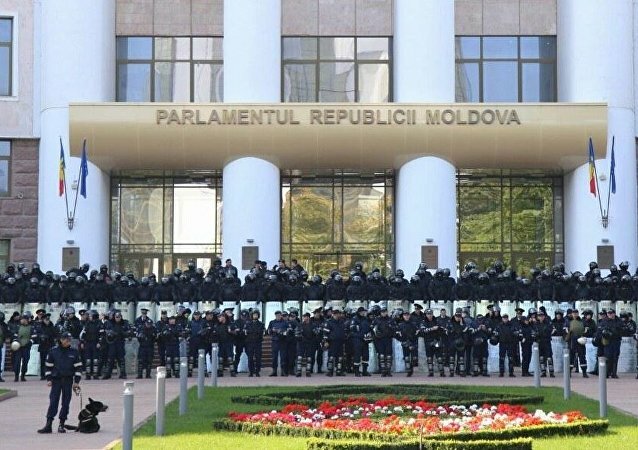 MOSCOW (Sputnik) - The Constitutional Court of Moldova has ruled that the chairman of the parliament or the prime minister could appoint two members of the government instead of President Igor Dodon thus temporarily suspending his on this issue, Constitutional Court chairman Mihai Poalelungi said. A truck that crossed into a lane with oncoming traffic, where it then crashed into the Moldovan president’s car, has been captured on a video that was published by the Hue Telegram channel. 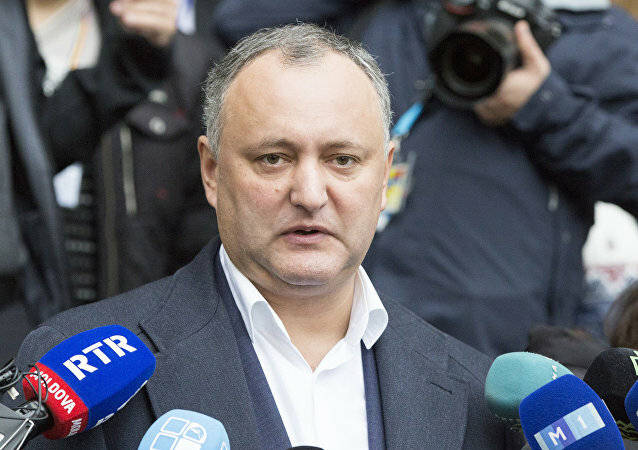 Moldovan President Igor Dodon’s motorcade collided with a truck on the Straseni - Calarasi highway, the Publika.md broadcaster reported on Sunday. CHISINAU (Sputnik) - A Moldovan MI-8 MTV helicopter, belonging to the Valan International Cargo Charter carrier, crashed in the Afghan northern province of Balkh, killing two crew members and 10 passengers, the Moldovan civil aviation authorities said on Sunday. 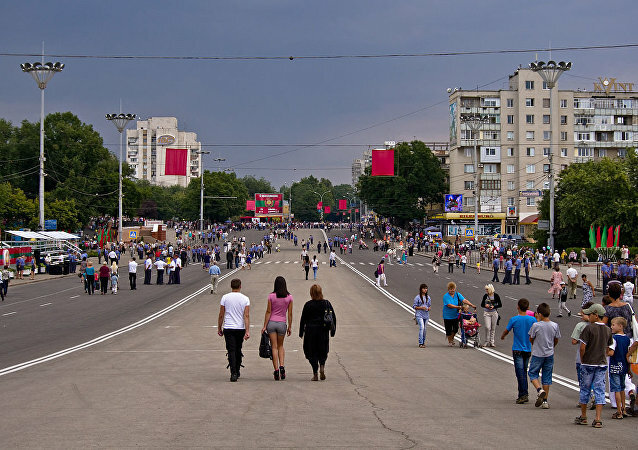 TIRASPOL (Sputnik) - Moldova's breakaway region of Transnistria celebrates the 28th anniversary of the self-proclaimed republic’s establishment on Sunday. The military parade on the central square in Transnistria’s capital of Tiraspol will start at 9 a.m. local time (06:00 GMT). CHISINAU (Sputnik) – Supporters of Moldova’s reunification with Romania on Saturday organized a demonstration at the central square of Chisinau, a Sputnik correspondent reported. CHISINAU (Sputnik) - Two massive protests organized by Moldovan right-wing and left-wing opposition in the capital’s center on Sunday, leads to unanimous adoption of a resolution calling for the resignation of country’s Prime Minister Pavel Filip, a Sputnik correspondent reported. MOSCOW (Sputnik) - Moldova intends to build friendly ties with all countries but will restrain from acting against Russia, Moldovan President Igor Dodon said. CHISINAU (Sputnik) - Over 60 percent of Moldovans would vote against joining NATO if the referendum on the issue was held, a poll by Moldova's Association of Sociology and Demographics Specialists showed on Wednesday. Moldovan President Igor Dodon warned that the NATO Liaison Office in the country may be closed after the upcoming parliamentary election in the country, arguing that the alliance’s attempts to establish an active presence in Moldova are nothing more than trying "to move as close as possible to the borders of the Russian Federation." MOSCOW (Sputnik) - Moldovan President Igor Dodon has not ruled out that the NATO Liaison Office in Chisinau could be closed after the upcoming parliamentary election in the country. 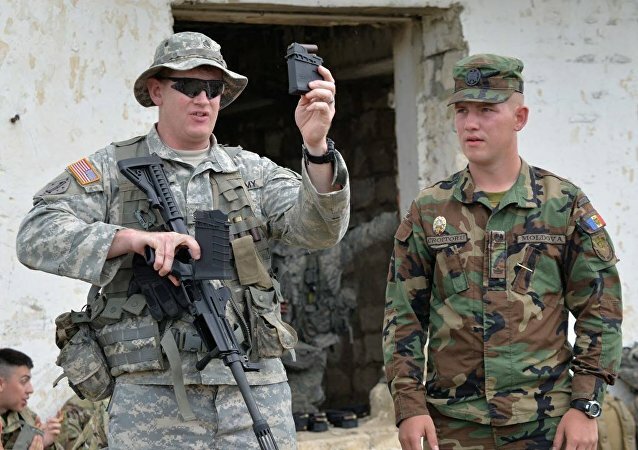 MOSCOW (Sputnik) - Moldova's President Igor Dodon told Zvezda broadcaster that there would be no NATO bases in his country as long as he remains the leader of Moldova.